Happy first day of Spring! Looking at the weather map this morning, I don't think Spring has actually hit all parts of the country yet. But, when you're ready to welcome the warmer weather, here is a really easy wreath to make for your front door or home. I have a glass front door so I always appreciate wreaths like this one with bold, solid colors so they stand out. 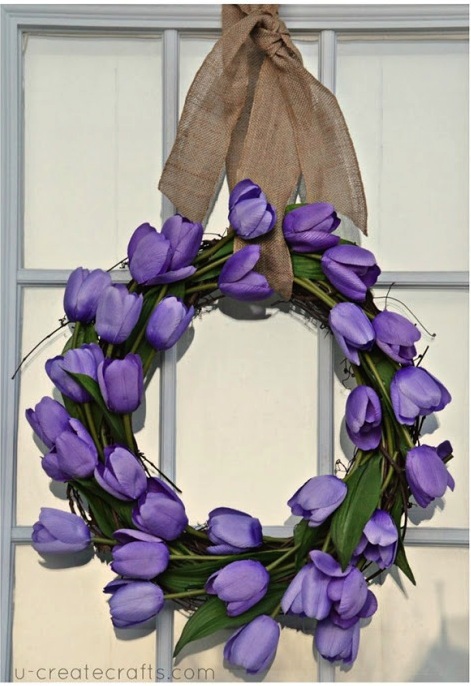 Find the full tutorial for this pretty tulip wreath at uCreate.